I saw a post in a homesteading group I belong to on Facebook selling this girl. She’s a 7 month old Nigerian Dwarf, just a couple of weeks older than our Beasley & Ruby. 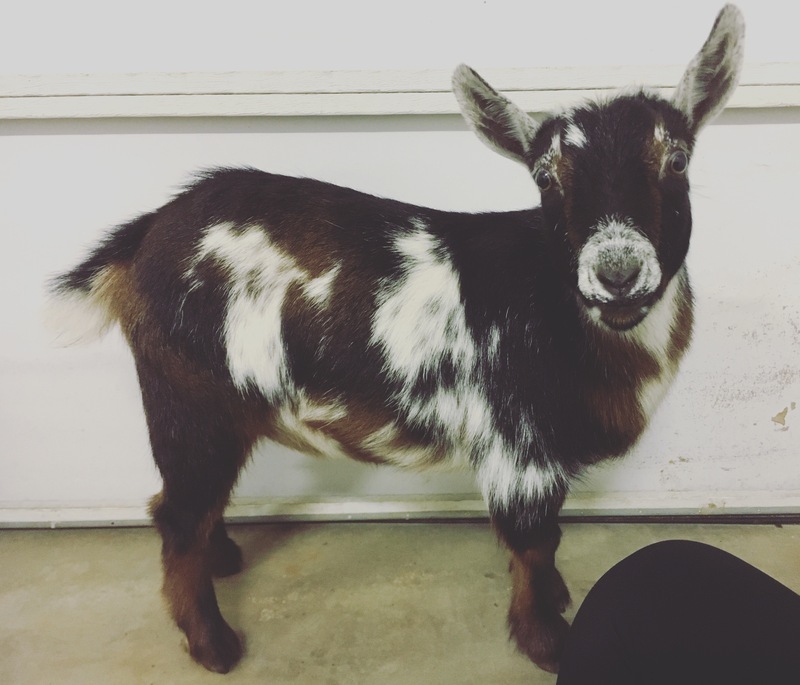 She was bred as a show goat, but her owners decided to get out of the goat world and focus on poultry. They were selling her for a great price and I immediately fell in love. I called my husband at work and told him I had found my Christmas present from him, to me. That present was this sweet girl, Cherokee! Later that evening I met up with her previous owner in a grocery store parking lot and bought a goat! Cherokee spent her first night in the garage as it was too dark to take her to the barn, but first thing the next morning I took her out to meet her new family. The first few hours of her meeting Beasley & Ruby were full of head butting, but by the afternoon they had all bonded. 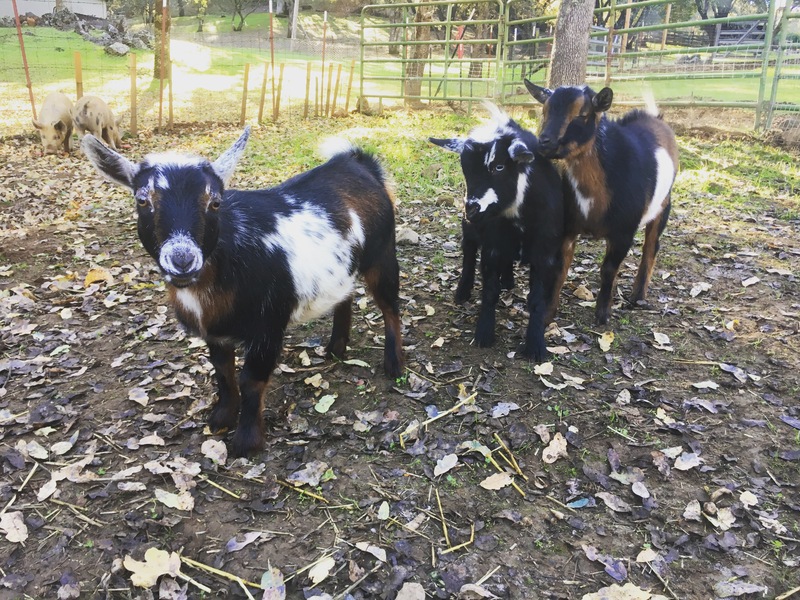 Next March or April, we plan to set Ruby & Cherokee up on “dates” with a buck, and with any luck we should have goat kids late summer 2017!